Experience everything that life has to offer, all in one place! 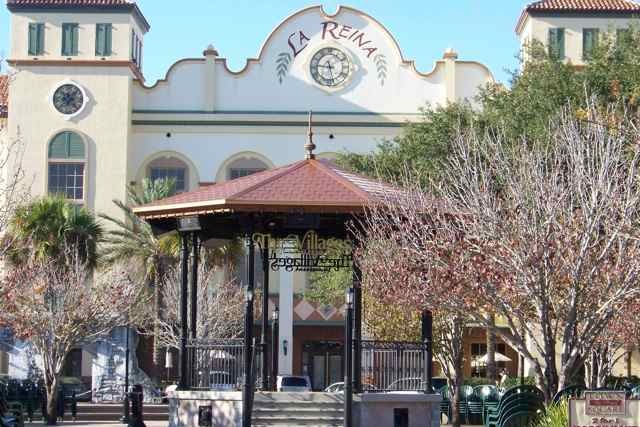 The Spanish Springs town center near The Villages is the prime location where retirees can enjoy various activities, better themselves, and become engrossed in the community. The Spanish Springs town center real estate is jam-packed with memories waiting to be made. Begin with the monthly car cruise. Every month witness the stylish automobiles as they line up, full of classic prestige, chrome, and charisma. People come from miles around to enjoy the cars, making it a social event to look forward to twelve times a year. Free entertainment can be found in the Square 365 nights a year. Street performers, live music, and many other forms of entertainment cause nightly gatherings from the locals. But there’s more than just fabulous musicians and breathtaking events to the Spanish Springs town center real estate. Check out the shopping and visit the many accommodating stores and services. With a huge selection of brand name retailers, stocking the latest in trends and the hottest sought after products, you’ll find everything you could ever want to buy…and then some! Shop through stores such as Natural Discoveries, Turtle Bay, Chico’s, or Banner Mercantile. Browse long enough and you’re sure to build a decent appetite, so satisfy your cravings by visiting Ruby Tuesday, Gator’s Dockside, or McCall’s Tavern. And after a long day of shopping and dining, relax with an evening at the cherished Rialto Theatre at the corner of Alonzo and Main. Take in a show with friends and let your troubles melt away with an extraordinary performance. Slow things down after a wild week by venturing into one of the houses of worship. The Church on the Square is a destination congregation for many residents in the surrounding areas, with several nearby denominations accessible as well. The Spanish Springs town center real estate is home to classic architecture, wonderful dining options, fully-stocked retailers, entertainers, events, theatre, and so much more! When you choose to live in The Villages you’ll have access to all this on a daily basis.